Commercial and residential development is booming in major cities across the U.S. Here in Nashville, nearly every sector of the city is seeing rapid and impressive growth. With our experience in branding both commercially and residentially, it’s easy to see two sides of the spectrum. There’s the templated approach in both the building or structure design and the the overall branding of the properties. This is possibly a quicker route to take, but does it stand out in a way that differentiates itself from the others doing very similar things? Some may, but thinking through the overall brand – from location, name, physical specs, brand design, environmental design, and marketing/ad collateral – is critical in creating a space and a brand that will become a landmark. One example is Vintage South Development and Stocking 51 a residential development firm that is not only taking strides to create unique and custom homes, but took the time to redevelop its brand in a way that is reflective of the craftsmanship and unique detail in each home they design and create. Stocking 51 was built out of an old hosiery to create a commercial space for a coffee shop, brewery, pizza joint, and much more. The builder’s attention to detail led to a brand that is reflective of the historic space while attracting modern businesses to a highly-curated building that is welcoming and fits perfectly in the neighborhood. 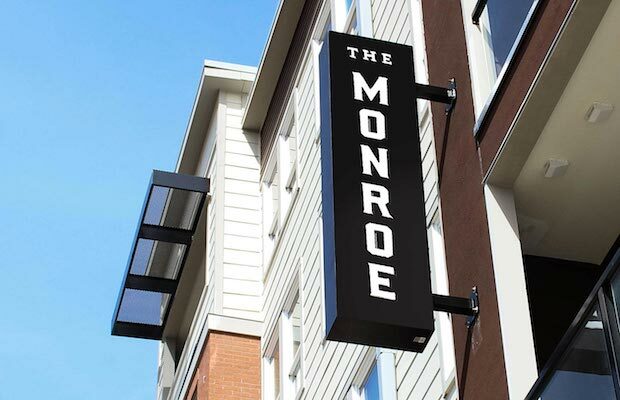 On the large-scale residential side, there’s projects like The Monroe who came to Proof looking to break away from the templated world of branding and design in the apartment and condo arena. The results led to a name that was specific to an historic neighborhood, memorable branding, and a website that sets itself apart from others in their city. In growing cities on the development side, it’s imperative to focus on custom, creative, and curated work, both in branding and building, but also how the brand is crafted to reflect those characteristics. It’s Proof’s philosophy that a brand isn’t only a hip logo or sleek website. It’s the sum of all the parts. It’s the goal to have people look at every brand and building aspect and know that it’s memorable and – yes – incredible.